Successful talent acquisition is a combination of many factors ranging from diversified talent sources, strong employer branding, to commitment to regular communication so that your prospects remain engaged every step of the hiring funnel. This is where creating hiring related email templates can help you streamline and boost standardization across your recruitment workflows. 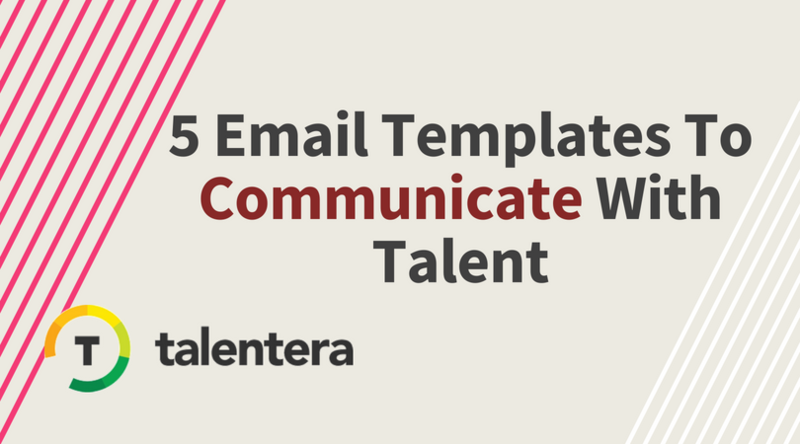 By building prospect focused communication templates to match every step of the hiring selection, you can use an ATS such as Talentera to trigger automatic email responses once the applicant is shortlisted, invited for an interview, accepted, rejected or even being prepared for on boarding. 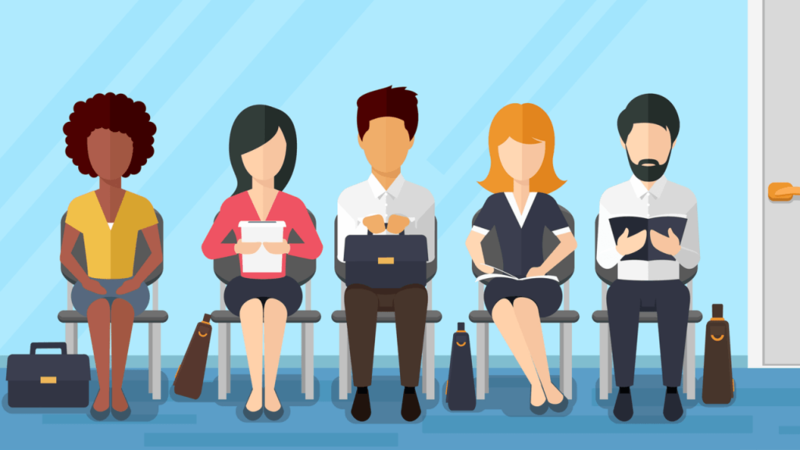 Finding talent for hard-to-fill roles at your company typically requires more effort than just waiting for applicants to express their interest; sometimes the recruiters simply have to take candidate sourcing into their own hands. 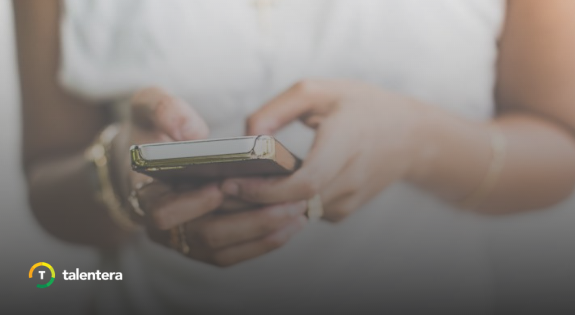 Having an email template handy helps you quickly reach out to promising prospects to improve your chances of short listing talent that are a great match for the vacancy, alongside driving forward communication based on a positive first impression. Allowing recruiters to introduce themselves, share the job description, and request availability for a quick chat- this email is concise, impactful, personable, yet with a clear call to action to ensure that the candidate is intrigued to learn more about the position in question. I am (insert your name), (insert job title) at (insert company name), and came across your profile at (insert sourcing platform, e.g. bayt.com). We are currently recruiting for the (insert title) position at our (insert city) office, and I was very impressed with your (insert field) experience that could be a terrific addition to our fast growing operations. I’d love to have a chat to share more information and also learn more about your professional aspirations, would you be open to a having a quick call? If you could share a time that works on (insert day) the (insert date), that would be great. Alternatively, if you would prefer a different day, I’d be happy to work around my schedule to match yours. Meanwhile, I’m attaching the job description for your review/ you can view it on this link online. If your preliminary call with a prospect goes exceptionally well, the next stage of communication involves scheduling an interview to really get the ball rolling towards acquiring the talent without unnecessary delay. There’s not much need to reinvent the wheel here, the email will be direct with essential information covering interview schedule, purpose, participants and location. Without requiring extreme personalization, this template will help the candidate develop a sense of camaraderie with the recruiter. Also, another call to action will request them to lock in their preferred interview time for the next conversation with the company’s hiring or department manager. Thank you for taking out the time for a quick call, getting to know the highlights of your professional journey was both impressive and insightful. Our (insert company name) would like to extend you an invitation to interview (insert location, for e.g. at our office, over skype), so you can be introduced to our department manager (insert name) to discuss the position, learn more about the organization and get acquainted with the company culture. If none of these timings are good fit for your schedule, please suggest an alternative day. I will try my best to accommodate your interview request based on your availability. *alternatively, you can use a meeting app link like Calendly that helps users pick a time slot. 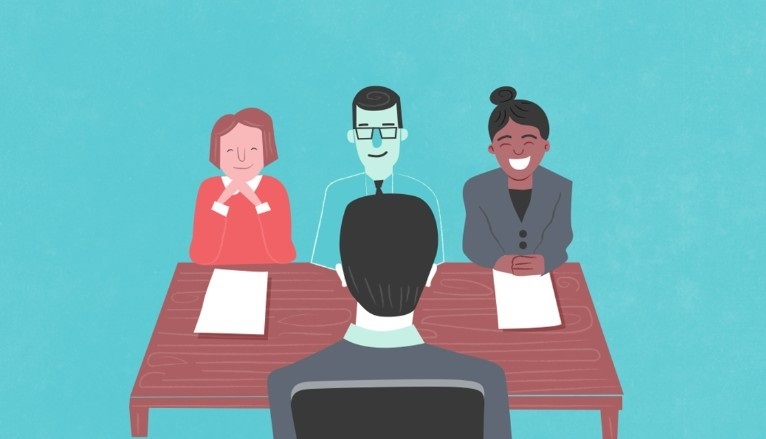 After a long journey of talent sourcing, applicant screening, phone conversations and weighing stiff competition against each other, you’ve finally found the winning candidate. It’s only natural that you cannot wait to have them join your team to start contributing towards the incredible success that your company is known for. It has been a pleasure getting to know you over the course of the past few weeks- thank you for your cooperation. I am happy to share that our team has found you to be a great fit for this role, and would like to formally offer you a position as a (Insert job title). Congrats on this milestone; please find attached the offer overview including salary, benefits, and other allowances that will be entitled to as a member of our (insert company name) family. We’d be excited to have you join by the start of next month, however, we are flexible with our dates to ensure that you have time to complete any pending obligations. Please let me know if you have questions or concern, I’d be happy to assist, and a very warm welcome to the team! Turning down candidates that don’t make the cut after the interviews is important as a part of your responsibility to keep them in the loop regarding their status in the hiring funnel. It is not easy to be the bearer of bad news, however it’s definitely not professional to leave prospects in the dark either by sharing no updates regarding your selection decision. As a recruiter, being courteous, polite and respectful is a part of the job description so that even rejected candidates leave with a positive experience associated with your organization. This is why we recommend using this email template to share the unpleasant news, yet still maintain a relationship so that they can be contacted when it’s time for a future opening to be filled. Thank you for your interest in working for (insert company name). It was a pleasure to learn about your skills, your time and effort invested into connecting with us is sincerely appreciated. Unfortunately, at this time, the hiring committee has decided to proceed with another candidate. This was not an easy decision, and we will definitely keep your CV in our database to reach out when we have a job opening that better fits your profile. Please do not hesitate to keep in touch if you have any questions, or would like any feedback. Wishing you the best of luck in your future endeavors, and hope we meet again soon! 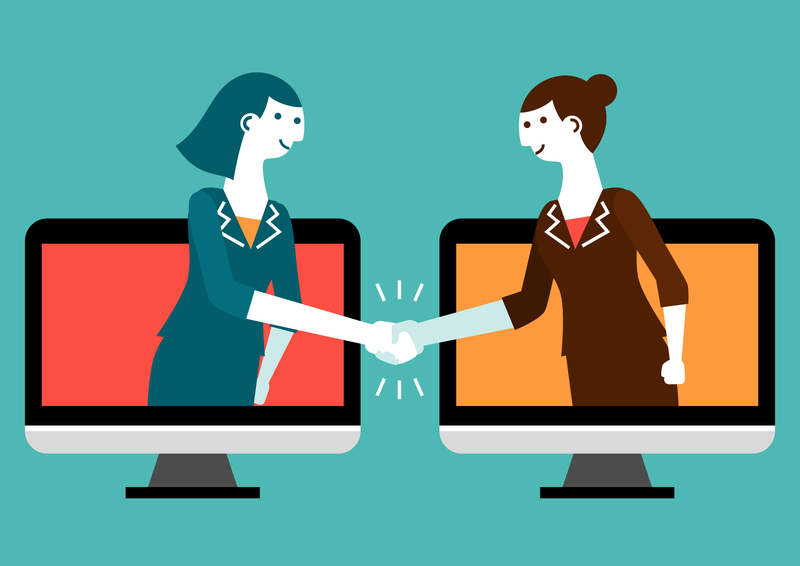 The objective of an onboarding email is to create a welcoming environment and to energize your new employee for this new chapter of their career by creating a sense of attachment with the team, company and overall workplace. 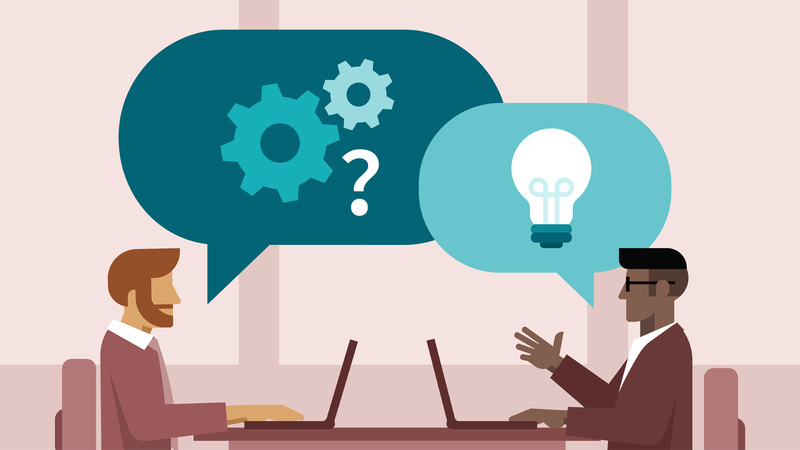 A well written onboarding email can provide the new joiner with valuable information to help them gain an understanding of the facilities, benefits, and also provide confirmation that all the authorizations for their technology and required access are in place. We are thrilled to welcome you to the company. We hope you are as excited to hear about your first day at our office as much as we are to guide you through it. As agreed, your start is (insert date), and the office hours will be from (insert time) to (insert time) monday through friday. At (insert company name) we take pride in equipping our employees with all the resources they may need to perform their best- our tech support team will be assisting you in setting up your workstation. Feel free to pour yourself a cup of freshly brewed coffee in the pantry, it’s a great place to meet colleagues and get yourself familiarized with new faces. You can find more details in the attached agenda, the Hiring Manager (insert name) will be in touch to coordinate a time to complete your employment paperwork. If you have any questions prior to your arrival, I can always be reached over email or the phone. There you have it- 5 email templates that can improve your candidate communication quality so that every exchange leaves your talent pool impressed and positively refreshed with your recruiter’s updates. By inserting these templates into your ATS, you can look forward to effortless customised emailing powered by automated workflows so that your hiring managers can experience improved productivity and convenience.